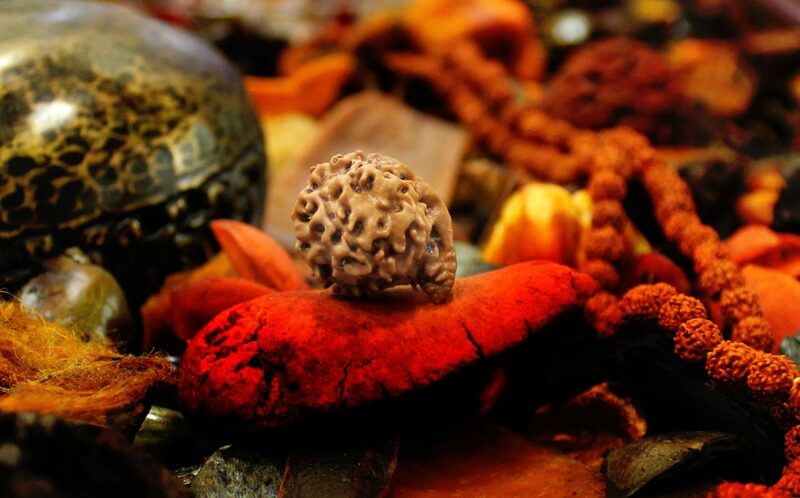 One mukhi rudraksha is ruled by Mahadev & Enlightens the Super Consciousness. It destroys all sins and leads one to liberation. 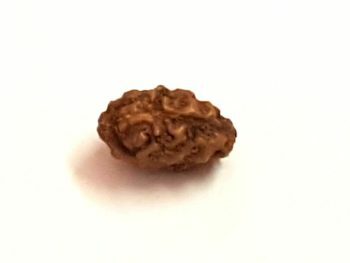 One mukhi round rudraksha is Saakshat Shiva Swaroopa. The wearer elevates in awareness and merges with the absolute consciousness of the divine. It is only with grace of Lord Shiva and divine karmas that a person gets to wear this rare bead. One who wears it surely goes to path of Moksha. This bead aligns oneself to Shiva and the wearer’s mind begins to concentrate on the Supreme Element, thus the discoverers of Aatma Tattva. 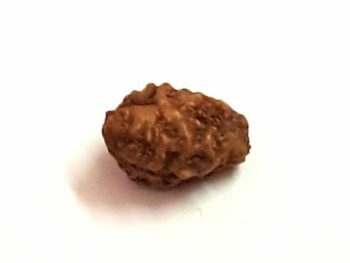 This is the best of all Rudrakshas for meditation and spiritual growth. The person who wears this has all worldly pleasures at his feet but remain sun affected by them. They are generally available in Cashew nut or kaju danashape, but these round ones are rare to find. Kaju Dana will have only one line on them. They contain single compartment and single seed. Because of this single compartment the nut collapses and turns in to Cashew­nut shape. 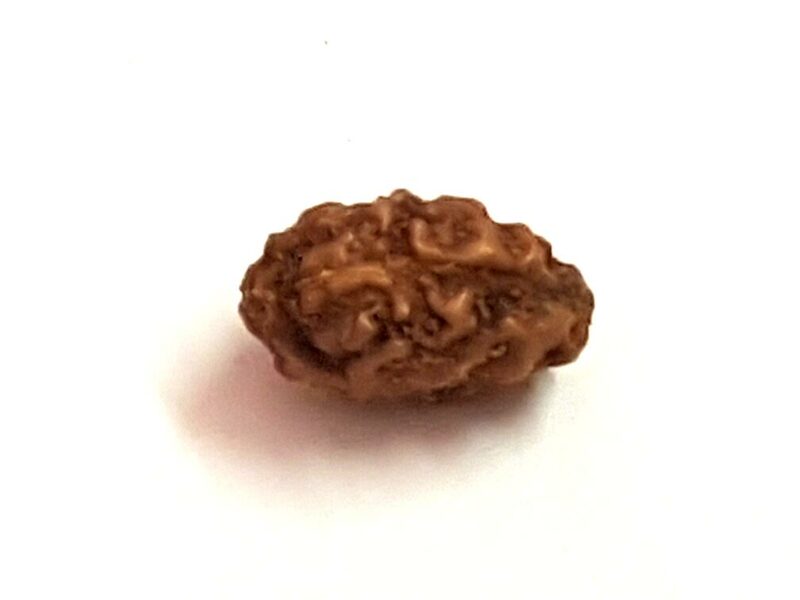 But, in some very rare occasions Rudraksha bead retains round shape. That’s why its rare to find. Round 1 mukhi Rudrakshas are Powerful than any other Rudraksha. It is clearly told by Puranas and Tantras. But, the Majestic thing in Round Ek mukhi is overcoming natural hindrances. 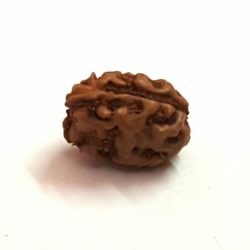 Round Ek Mukhi Rudrakshas makes the person equal to Lord Shiva. It transmits abundant power. Salvation or mukti is in his hands. If you can own it then you are the Luckiest person in the world. Worship it as Lord Shiva. Don’t use it for the worldly things. Of course you can pray it for your healthy desires. But, that is not at all required. It fulfills all of them without asking. You need not know the Tantric secrets. It keeps you high in the life & gives success everywhere. This Rare Ek Mukhi Gol Rudraksha is Blessed by all the Gods and Goddess of the Hinduism, Buddhis mand the Jainism including Lord Kuber, as he is worshipped in Hinduism, Buddhis mand the Jainism. This rare Bead is also used for Peace, Wealth, Good Luck, Good Fortune, Fame, Prosperity, Good Health and Harmony in oneself and the Family. Most auspicious in its existence. It is the symbol of God of Supreme Truth. It itself is Lord Shiva. No fear of untimely death. Gives all the worldly pleasures. It removes the all kinds ofsins. It gives eternal bliss to the wearer. It gives moksha after death. Heals Diseases of Heart, Blood, Veins, Headache & Right Eye.